Finding the optimal work-life balance is always a tough task. But stress no more. We have assembled some of our finest ambassadors to show you how to not only make your business more effective and productive, but also how to streamline your workflow too. 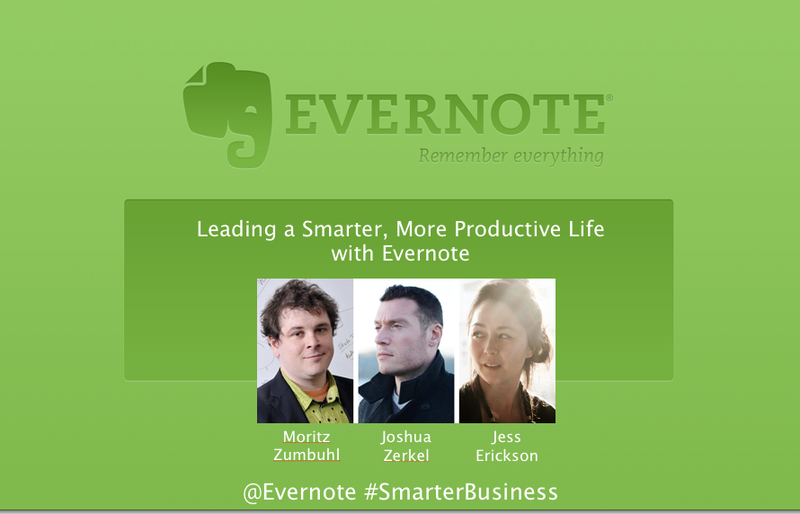 Join Jess Erickson (Founder of Berlin Geekettes), Josh Zerkel (User Education Specialist from Evernote) and Moritz Zumbühl (Evernote Business customer and CEO of Feinheit) as they share their experiences and best practices on how to make the most of Evernote on iOS to improve your business’ productivity.